Zune set to hit mobile phones at last? But only as a software platform... boo hiss Microsoft! Zune coming to a mobile? But how? And why? 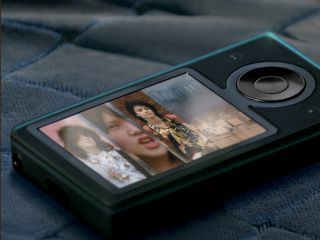 The long-awaited Zune Phone looks dead in the water (again) as it appears Microsoft wants to re-launch the Zune name as a platform for mobile entertainment. According to AdWeek, Microsoft is auditioning companies to take on something called Pink - which some of you eagle-eyed readers will remember as the codename for the Zune platform on Windows Mobile handsets. This means that it's likely the Zune moniker would be absorbed into the Windows Mobile framework, rather than cannibalise it by creating a whole new OS for the Redmond chaps. So perhaps part of the new Windows Mobile 6.5 (or possibly Windows Mobile 7, seeing as it would have to be a VERY quick port into the forthcoming 6.5 OS) makes sense for the Zune platform, and would obviously require a quick PR campaign. According to the article, the decision will be made by the end of next month, so it can't be long before the PR machine for Pink goes into hyperdrive and starts spewing out press releases and the like. But the timing seems a little bit confusing, as the Zune platform for mobile phones doesn't seem to be ready to tie in with any forthcoming releases, but lest we forget last year's acquisition of Danger, the 'fun' mobile services provider, has yet to show any fruit. So we'll take Steve Ballmer's word at face value and just wait and see... though if a Zune phone suddenly turns up then we'll have to all pack in this reporting game and go and open a bar on the beach somewhere, in a land far less confusing and unpredictable.